The Christy Award is a "Christian fiction award to recognize novelists and novels of excellence in several genres of Christian fiction." The nominees for this year were announced recently and the winners will be announced July 12. Every year I make it my goal to read all the books that are nominated for the Christy Award. I also give them away! 2. Enter by the date indicated. For this category, please enter by JULY 18, winners announced on July 20. 4. To win even more books, share the links to the giveaway...tweet them, status them, email them, whatever! If I get 250 retweets and/or new Facebook likes over the next 6 weeks, I'll give away an extra copy of my top 5 favorites from the list. 5. Come back soon for the next category giveaway! As word spreads of the boy's healing, a mega-church pastor is determined to manipulate Corin into turning over the chair. And that mysterious woman who gave him the piece flits in and out of his life like a shadow, insinuating it's Corin's destiny to guard the chair above everything else. But why? This was very good! There's a lot of suspense to it too, which I love, so it was a good read for me. I was immediately grabbed by the storyline and very captivated by it as it developed. Definately want to read more by this author. I read this one quite a while ago, so forgive me for not remembering all the details; but I definately remember loving it! Of course, how I could I not love it with two of my all-time favorite authors working together! A most terrifying thought, to think of a future like this, but a book that you won't be able to put down! Until she meets a privileged young man sent to spend his summer in the mountains. Leo, a lonely lad, befriends Rose Red, and together they begin hunting for the Mountain Monster which, rumor says, stalks these lands.But the hunt which began as a game holds greater risk than Leo supposes. This is book is part fairy tale, part dragon tale. For those who love dragons vs. princesses and their heroes, there is all kinds of action and adventure to be had. MY PICK: This was a close race for me, but my favorite was Forbidden. After her brother's tragic death fighting a fire, former trauma nurse Claire Avery can't face going back to the ER. But when she must offer staff counseling after a propane explosion in a local day care center, Claire's plan self-destructs. She's back in the ER, battling painful memories-and the handsome and surly doctor who thrives on chaos. Dr. Logan Caldwell has learned to distance himself from painful emotion. He expects his ER staff to be as tough as he is, and when hospital administration sends a beautiful but pushy education nurse to offer counseling, he'll have none of it. I enjoyed both of these very much and look forward to more from this author! As a big fan of medical dramas, it was great to get to read about some of the staff members' lives from a Christian fiction point of view. There wasn't an abundance of medical action. Just a nice balance as it pertained to the work lives of the characters. I enjoyed the growth of the characters and the romances that developed. The stories were somewhat connected, but could be read individually too. A couple of thoughts about "Hood"
I have a confession to make. I really tried to like Hood by Stephen Lawhead. I read over 300 pages of it. This is just not my genre. This is just me. I want to enjoy it, really, but I am not a fantasy reader. I'm not saying I didn't like it--the action was great, the characters complex and developed. I'm just saying it was a labor for me. I had trouble keeping the complicated names straight and I grew frustrated with the use (a couple of times only, but still) of a word I didn't like (starts with "b" and describes an illegitimate child but was referring to people strongly disliked in this case, if you now what I mean). I just didn't like seeing it in "Christian" fiction...I'm sorry if that makes me "backwards." 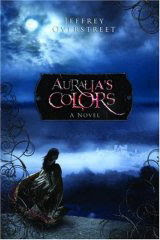 Since I am giving away a copy of this book in my giveaway, I just wanted to mention it. The action is good, but it has been a struggle for me. From the movies and the books, most people would feel like they have a basic handle on the story of Robin Hood, who lives in Sherwood Forest and robs from the rich so he can give to the poor. 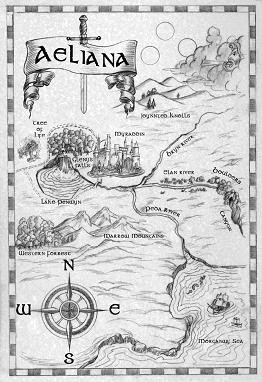 Opening the pages of HOOD, I was a bit skeptical, but in a short time I was caught up in the majestic storytelling of Stephen Lawhead, known for epics such as the Pendragon Cycle and Song of Albion Trilogy. 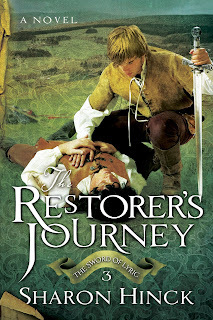 Readers are introduced to Bran ap Brychan, a prince who is the sole heir to the Kingdom of Elfael. When Bran was a small child, his father, King Brychan ap Tewdwr, put a halt to their relationship, so Bran cared little about learning how to lead the people. When Bran is a young man, King Brychan raises his warband and heads off to Lundein to swear their allegiance to King William and the British. When the warband meets British warriors, the Count Falkes de Braose tells King Brychan that it's too late because King William has given him the lands of Elfael. The warriors fight and everyone, including the King, is killed except for Iwan, who barely escapes with his life and goes to warn Bran. As the British warriors march toward Elfael, Bran tries to protect his family's wealth and then flees. With Iwan and Brother Ffreol, Bran makes a trip to appeal directly to King William to save his people. When they arrive in Lundein to meet the King, the three men are ushered in to see Cardinal Ranulf of Bayeux, Chief Justiciate of England. Because the King is in Normandy, the Cardinal is handling all domestic matters. Bran describes the massacre of his father and the warband nine days earlier. After learning that Count Braose purchased Elfael for 200 marks, the cardinal says that it can be changed for 600 marks and allegiance to the King. The decision is delayed, but Bran is angry and doesn't know where to get such an exorbitant fee. During the return trip, the trio is attacked and Brother Ffreol is killed. Bran flees for his life and ultimately is attacked again and left for dead drifting in a stream. For a small portion of the book, it looks as though the hero has been killed. Then an old woman, Angharad, nurses Bran back to full strength. As he heals, Bran wants to escape at first but eventually decides to lead his people who are living in the woods. Angharad takes him to the secret place of the forest and reveals herself as Angharad the Hudolion, the Enchantress of the Wood; she becomes his trusted advisor. Iwan is living among these people and he becomes Bran's commanding officer. And the connection to Robin Hood? Bran leads this band in the haunting forest where a mysterious phantom occasionally appears. Toward the end of the novel, Count Falkes says about this phantom, "The folks of Elfael call it Rhi Bran the Hud." Waving his hand dismissively, he added, "I am sick of hearing about it." Abbott Hugo turned from the window: "Robin Hood? "… "Sorry your grace, no-not Robin… Rhi Bran-it is Welsh. It means King Raven." 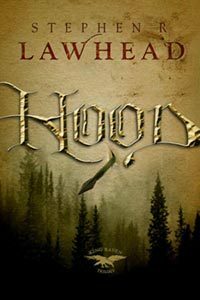 The talent of Stephen Lawhead shines with HOOD. Crisp characters are plunged into complex inter-relationships and a page-turning style. It's good to see Lawhead back in his comfort zone. It is June FIRST, time for the FIRST Blog Tour! (Join our alliance! Click the button!) The FIRST day of every month we will feature an author and his/her latest book's FIRST chapter! 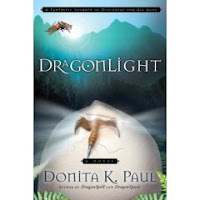 Donita K. Paul is a retired teacher and award-winning author of seven novels, including DragonSpell, DragonQuest, DragonKnight, and DragonFire. When not writing, she is often engaged in mentoring writers of all ages. Donita lives in Colorado Springs, Colorado where she is learning to paint–walls and furniture! Visit her website at www.dragonkeeper.us. Kale wrinkled her nose at the dank air drifting up from the stone staircase. Below, utter darkness created a formidable barrier. The statement pulled Kale back to her original purpose. No doubt she had been manipulated yet again by the tiny doneel, but dropping the subject of Toopka’s age for the time being seemed prudent. Kale rubbed the top of Toopka’s head. The shorter fur between her ears felt softer than the hair on the child’s arms. Kale always found it soothing to stroke Toopka’s head, and the doneel liked it as well. “All right. Just a moment.” Kale turned to face the archway at the top of the stairs, a few steps up from where they stood. She reached with her mind to the nearest band of minor dragons. Soon chittering dragon voices, a rainbow vision of soft, flapping, leathery wings, and a ripple of excitement swept through her senses. She heard Artross, the leader of this watch, call for his band to mind their manners, listen to orders, and calm themselves. Toopka came scurrying back. She’d deserted her lead position in the company of intrepid dragons. The tiny doneel dodged behind Kale and once more clutched the sparkling robe. Kale shifted her attention to a commotion ahead and sought out the thoughts of the leader Artross. “What’s wrong?” asked Kale, but her answer came as she tuned in to the leader of the dragon watch. An anvilhead snake slid over the stone floor of a room stacked high with large kegs. His long black body stretched out from a nook between two barrels. With the tail of the serpent hidden, she had no way of knowing its size. These reptiles’ heads outweighed their bodies. The muscled section behind the base of the jaws could be as much as six inches wide. But the length of the snake could be from three feet to thirty. Kale shuddered but took another step down the passage. Artross looked around the room and spotted another section of ropelike body against the opposite wall. Kegs hid most of the snake. Kale grimaced. Another snake? Or the end of the one threatening my dragons? how to use the invisible blade with deadly precision. “Don’t let him get away,” she called as she increased her speed through the narrow corridor. The reptile hissed at her, raised its massive head, and swayed in a threatening posture. The creature slithered toward her, propelled by the elongated body still on the floor. Just out of reach of Kale’s sword, the beast stopped, pulled its head back for the strike, and let out a slow, menacing hiss. The snake lunged, and Kale swung her invisible weapon. The severed head sailed across the room and slammed against the stone wall. The smell alone halted Kale in her tracks and sent her back a pace. She screwed up her face, but no amount of pinching her nose muscles cut off the odor of raw eggs and the bodies of unborn snakes. She produced a square of moonbeam material from her pocket and covered the lower half of her face. The properties of the handkerchief filtered the unpleasant aroma. Her gaze fell on the scene of annihilation. Usually, Kale found infant animals to be endearing, attractive in a gangly way. But the small snake bodies looked more like huge blackened worms than babies. Toopka raced up behind her and came to a skidding stop when she reached the doorway. “Ew!” She buried her face in the hem of Kale’s tunic, then peeked out with her nose still covered. The minor dragons continued to destroy the huge nest. Kale estimated over a hundred snake eggs must have been deposited in the old shallow basket. The woven edges sagged where the weight of the female snake had broken the reeds. Kale shuddered at the thought of all those snakes hatching and occupying the lowest level of the castle, her home. The urge to be above ground, in the light, and with her loved ones compelled her out of the room. Good work, she commended the dragons as she backed into the passage. Artross, be sure that no egg is left unshattered. She received his assurance, thanked him, then turned about and ran. She must find Bardon. 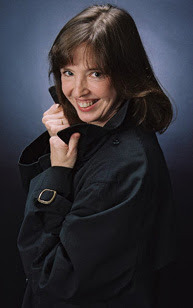 It is April FIRST--no foolin'--, time for the FIRST Day Blog Tour! (Join our alliance! Click the button!) The FIRST day of every month we will feature an author and his/her latest book's FIRST chapter! 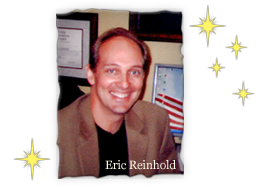 Eric J. Reinhold is a graduate of the U.S. Naval Academy. The former Naval officer writes extensively for a variety of national financial publications in his position as a Certified Financial Planner® and President of Academy Wealth Management. His passion for writing a youth fantasy novel was fueled by nightly impromptu storytelling to his children and actively serving in the middle and high school programs at First Baptist Sweetwater Church in Longwood, Florida. It first appeared as a gentle glow, almost like a child’s night-light. Heavy shadows filled the room as the boy lay face up, covers tucked neatly under his arms. A slight smile on his face hinted that he was in the midst of a pleasant dream. Ryann Watters, who had just celebrated his twelfth birthday, rolled lazily onto his side, his blond hair matted into the pillow, unaware of the glow as it began to intensify. Shadows searched for hiding places throughout the room as the glow transformed from a pale yellow hue to brilliant white. Ryann’s eyelids fluttered briefly and then flickered at the glare reflecting off his pale blue bedroom walls. Drowsily, he turned toward the light expecting to see one of his parents coming in to check on him. “What’s going on?” his voice cracked as he reached up to rub the crusty sleep from his eyes. Under a pale half-moon, Drake Dunfellow’s house looked just like any other. A closer inspection, however, would reveal its failing condition. Water oaks lining the side of the curved driveway hunched over haggardly, like old men struggling on canes. The lawn, which should have been a lively green for early spring, was withered and sandy. A few patches of grass were sprinkled here and there. Rust lines streaked down the one jagged peak atop the tin-roof house. The flimsy clapboard sides were outlined by fading white trim speckled with dried paint curls. Hanging baskets containing a variety of plants and weeds all struggling to stay alive shared the crowded front porch with two mildew-covered rocking chairs. Inside, magazines and newspaper clippings both old and new were carelessly strewn about. Encrusted dishes from the previous day’s meals battled each other for space in the bulging kitchen sink. In the garage, away from the usual living areas, was a boy’s room. Dull paneling outlined the bedroom, while equally dreary brown linoleum covered the floor. The bedroom must have been an afterthought because not much consideration had been given to the details. A bookcase cut from rough planks sat atop an old garage sale dresser. Moonlight pressing through the dust-covered metal blinds tried to provide a sense of peacefulness. Instead it revealed bristly red hair atop a young boy’s head poking out from beneath a mushy feather pillow. His heavy breathing provided the only movement in the quiet room. Tiny droplets of perspiration lined his brow as he began jerking about under the thin cotton sheets. Starting at the edge of the window, the blackness spread downward, transforming all traces of light to an oily dinginess. Drake was slowly surrounded and remained the only thing not saturated in the darkness. Bolting upright to a stiff-seated attention, Drake’s bloodshot eyes darted back and forth. He stared into the black nothingness shuddering and aware that the only thing visible in the room was his bed. “Who . . . who’s there?” Drake cried out, puzzled by the hollow sound that didn’t seem to travel beyond the edge of his mattress. Beads of sweat trickled down his neck, connecting his numerous freckled dots. He strained, slightly tilting his head, ears perked. There was no reply. 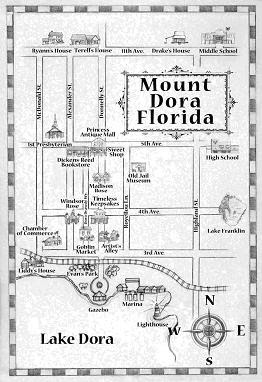 Neatly manicured streets wandered through the Watters’s sleepy, rolling neighborhood. If someone had been walking along in the wee morning hours of March 15, they would have noticed the brilliant white light peeking out from around Ryann’s shade. Below his second-story window the normally darkened bed of pink, red, and white impatiens was lit up as in the noonday sun. Ryann was fully awake now and quite positive that the dazzling aura facing him from in front of his window was not the hall light from his parents entering the bedroom. Golden hues flowed out of the whiteness, showering itself on everything in the room. It reminded Ryann of sprinkles of pixie dust in some of his favorite childhood books. His blue eyes grew wide trying to capture the unbelievable event unfolding before him. Rapid pulses in his chest gripped Ryann as he struggled to understand what was happening. Instinctively he grasped his navy blue bed sheets and pulled them up so that only his eyes and the top of his head peeked out from his self-made cocoon. Squinting to reduce the brilliance before him, Ryann stared into the light, trying to detect a form while questions scrambled around his mind. What had the voice meant by “finding favor,” and who had sent him? As Ryann struggled to work this out, the center of the whiteness began to take the shape of a man. Human in appearance, he looked powerful, but there was a calmness about his face, like that of an experienced commander before going into battle. Ryann recalled hearing about angels in his Sunday school class at church. He wondered if this could be one. “You have perceived correctly.” “And . . . I’ve been chosen by someone . . . for something?” Ryann asked. “The One who knows you better than you know yourself,” the angel answered. Ryann knew he must be talking about God, but what could God possibly want with him? “You mean the David from David and Goliath?” Ryann asked. Ryann tried to comprehend the magnitude of what this mighty being was saying to him. Realizing he was still sitting in his bed, covers bunched around him, he pulled them aside and swung his feet out, never taking his eyes off the angel. Landing firmly on the carpet, Ryann’s wobbly knees barely supported him, the bed acting as a wall between him and the angel. Beckoning Ryann from behind the bed, the angel glided effortlessly forward to greet him. Walking to within a foot of Gabriel, Ryann bowed humbly, basking in the radiant glow that emanated all around him. Reaching out, the angel grasped Ryann’s left hand firmly and slipped a gold ring, topped by a clear bubble-like stone, onto his finger. Before he could inspect it, the angel took his other hand and placed a long metal pole in it. Ryann’s hand slid easily up and down the smooth metal finish. Its shape and size were similar to a pool cue. Bone-white buttons protruded from just below where he gripped the staff. They were numbered 1, 2, 3, 4, 5, 6, and 7. Mesmerized by the gifts that begged for more attention and questions, Ryann hardly noticed Gabriel loop a long leather cord through his arm and around his neck. From it a curved ivory horn hung loosely below his waist, resting on his hip. As Gabriel finished and backed away, Ryann continued marveling at each of the gifts. Reaching down to inspect the horn, he ran his hands along its smooth, yet pitted surface, until he reached the small gold-tipped opening. He wondered how old the horn was and if it had been used before. “How? What King? Where do I look?” Ryann blurted out, panicking as questions continued to pop into his head. “The Spirit will lead you, and the ring will open the way,” the angel replied as he began floating backwards, the light peeling away with him. Clutching the mysterious heavenly gifts he had been given, Ryann collapsed in a heap on his bed, body and mind drained from his supernatural encounter. He drifted into a welcomed sleep. It seemed Drake’s bedroom no longer existed. Only his bed remained, an island floating in a sea of darkness that completely surrounded him. His eyes bulged, darting about for anything that would give him a hint of what was going on. A cool draft drifted down his neck, chilling him despite the safety of his covers. Caught between reality and a nightmare, he let loose a scream that normally would have been heard throughout the house and beyond, but now was absorbed into the heavy darkness enveloping him. “Who’s there?” he said again. He pinched himself to see if he was dreaming. With a loud swoooooooosh, huge wings shot out of the darkness surrounding his bed. Drake dove for the safety of his covers. Drake hesitated, knuckles tense and white as they curled tightly around the edges of his blanket. Jerking his covers off, Drake scurried to the edge of the bed, lost his balance, and awkwardly fell face-first onto the cool floor. Petrified at what he might see, yet too scared to disobey, he raised his head slightly. Half expecting some hideous beast, Drake was surprised at what he was facing. The black-winged warrior towering over him was imposing enough to paralyze anyone with fear, but his face was what captivated Drake. Instead of a hideous three-eyed ghoul with fangs, like Drake imagined, he stared into one of the most ruggedly handsome faces he had ever seen. Drake froze, mesmerized. Drake raised himself to a clumsy crouch. The face he looked intently into was perfect in almost every way, except for a long thin scar that traveled from his left ear to his jaw. He was convinced now that this wasn’t a monster trying to devour him. “What do you want me to do?” Drake blurted. Drake stumbled backwards, putting a hand on the floor to keep from falling. Swallowing hard, he could feel the black, penetrating eyes staring deep into his. “You are the one,” the creature said confidently. The dark angel continued to smile, sensing the blackness in Drake’s heart spreading murkily throughout his body. The dark-winged angel stretched out his hand, his index finger pointing toward the empty floor in front of him. Immediately three items appeared before Drake’s eyes. He blinked again. They were still there. Drake’s hand shot out in a blur to grab the closest item. Drake froze, and then cowered, his eyes shifting back to the booming voice as he slowly retracted his hand. His eyes darted back and forth between the three items and the dark angel in the awkward silence. Still hunched-over, Drake pitched forward onto his knees with his head bowed, eyes glancing upward in anticipation. Drake reached out his hands to receive the cloak. It felt smooth and slippery. Looking intently at it, the cloak seemed several feet thick, as if it was projecting darkness. “Thank you . . . uhh . . . what should I call you?” Drake asked. The darkness in the room began to rush toward Lord Ekron, as if he were absorbing it, except he wasn’t getting bigger—only darker. Drake kept staring at him, trying not to blink, so he wouldn’t miss anything. Despite his efforts, the dark angel began to fade, and Drake found himself peering into the darkness at the blank wall. When he was sure his eyes weren’t playing tricks on him and enough time passed so that he felt safe to move, he stood up. Drake would have thought this was all a bad dream, but the items he held in his hand were proof that it was real. He ran his hands through the dense blackness of the slick cloak, wondering how he might use it. Drake was anxious to try the bow and arrows as well. He didn’t dare pull the arrows out of their quiver right now, but decided that he would have to buy a regular bow and quiver of arrows as soon as possible so that he could begin practicing. Looking down at his hand, he examined the unusual ring he now wore. The entire band was a glossy black, except for the unusual red marking on the top, which resembled a flying dragon. Not much had gone right for Drake during the first thirteen years of his life. “Now things are going to be different,” he thought. The smile inching across his face looked evil. He knew with Lord Ekron at his side no one would be able to tell him what to do. 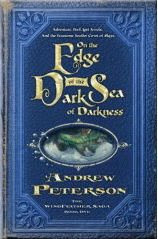 Artist Justin Gerard has illustrated several children’s books, including The Lightlings storybooks for young readers by R.C. Sproul. 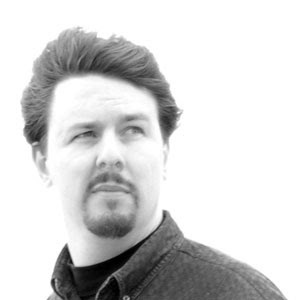 He lives in Greenville, South Carolina, and works as the chief creative officer for Portland Studios. It is March FIRST, time for the FIRST Day Blog Tour! (Join our alliance! Click the button!) The FIRST day of every month we will feature an author and his/her latest book's FIRST chapter! I can relate to the mom's sense of listlessness as she wrestles with "finding herself" in the midst of her 4 kids' schedules and the demands of being a mom. So she goes up in the attic in a special private place built for her by her husband so she can have some time alone. She ends up in another world! In that world she fights battles, overcomes weaknesses and strongholds, and learns to love her Lord and her family with a renewed passion.